60 kids are a step away from their dream. Help them build it ! Ratna Nidhi Charitable trust is seeking a grant to expand our Educational Scholarship Program (ESP) for Children affected by terror. This is with the objective of providing financial support to these children to continue their formal education. We intend to continue this project with the aim of helping these children with the further education, and furthermore help them to be in a position to find a suitable employability in future. Our ESP is based on the success of our past similar projects, where we supported children belonging to the family affected during the terror attacks took place on 24th of August, 2003 at Zaveri Bazaar & Gateway of India and the one that took place on 7th July, 2006 at various sub urban railway stations of Mumbai. On 26th November 2008 Mumbai faced terror attacks which drew worldwide global condemnation, 188 children were identified for the Educational Scholarship Program in the first round. 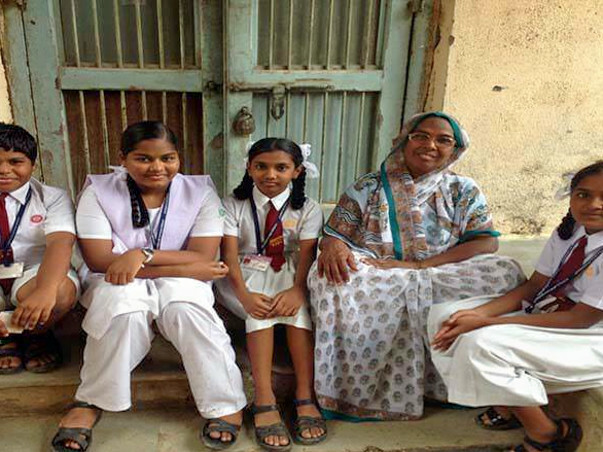 Of these, 35 children were selected for the additional assistance of 10,000 (INR) per year for their higher education. In all 252 terror affected children were helped during the course of 10 years. While we were still in the thick of the Terror Project, another calamity occurred in the form of triple bomb blasts at Zaveri Bazar, Opera House and Dadar on 7th July 2011. This time RNCT covered more 48 children under their ESP. Posts reviewing the cases through constant supervision the ESP team recommended to re‐ launch the program for its Phase II. In this phase we have identified 60 cases of children who are at a crucial stage of learning and need hand holding in terms to their education. Your help will go a long way in creating a new life for these children. #IamNewIndia.